The final week of classes was spent relishing our remaining time together. 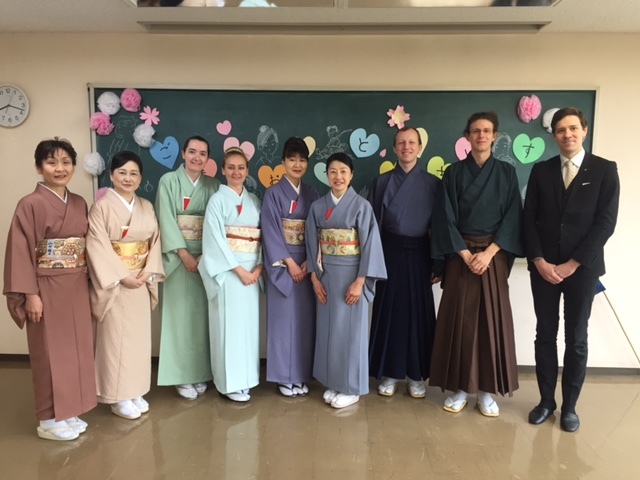 Our last jitsugi was spent doing shaza, a teaching exercise that combines flower arranging, laying of the charcoal, incense appreciation, making koicha (thick tea) and making usucha (thin tea). It’s a really fun one, as everyone has a task that they are responsible for doing. We are still quite slow and constantly seem to stand up or walk with the wrong foot, but we are always learning a bit more each day. 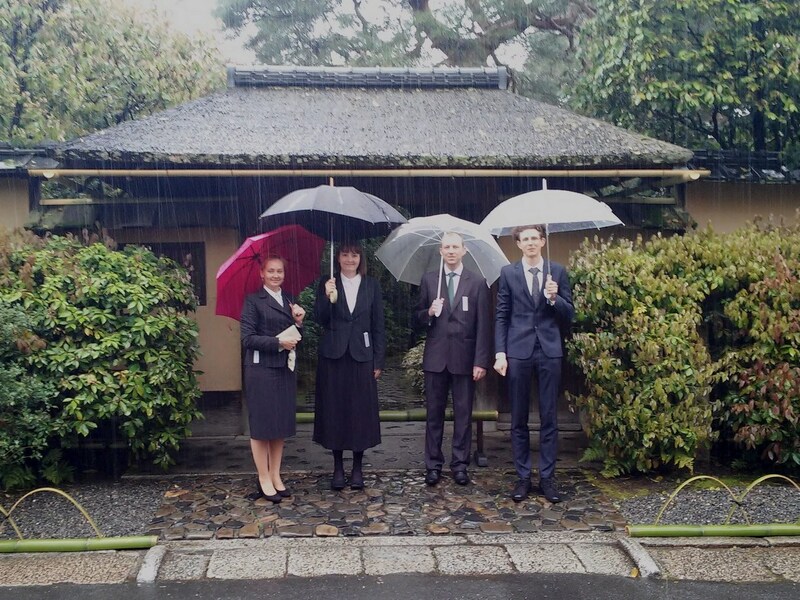 It’s a good reminder to keep the positive momentum going when we return to our home countries and won’t benefit from as large of practice rooms, groups of interested students, access to supplies and other challenges that arise when you are studying chado outside of Japan. I hope that we may all continue to grow in our study of Japanese culture in whatever form it takes. 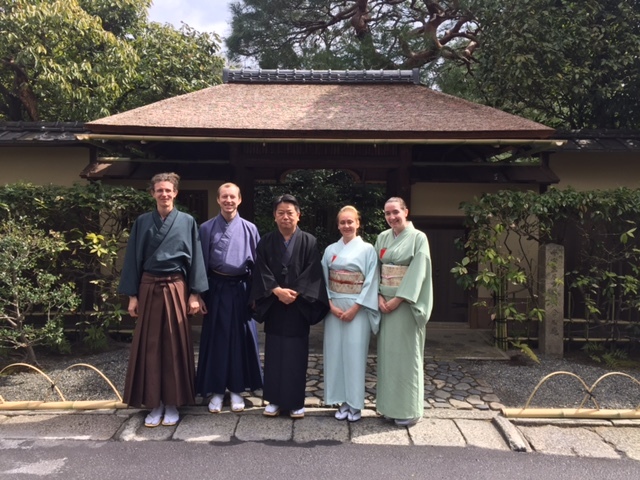 The nice thing about chado is that it includes a piece of many traditional Japanese art forms and so when you appreciate the tea ceremony you are really appreciating architecture, nature, literature, cuisine, handicrafts, art and much, much more. I’ve come to love the Japanese language as well and I hope to continue to study more of it after I graduate. It’s full of such nuance that it doesn’t always translate well in to English and I am genuinely interested in so much of what is being said. Here though, it’s been sadly easy to let my independent language studies slide as I have found it too mentally difficult to throw my educational-attention in so many different directions at once. I’m just too exhausted. I’ve had to become content with just trying to improve my “tea room” Japanese and call that sufficient for now. I’ve become friends with a few of the Japanese students who speak a small bit of English and together in my broken Japanese and their slightly better broken English and sometimes with translation from a friend or two, we have a very pleasant time together. People have been kind, friendly and generous to me and I hope that I’ve been able to communicate those same feelings back. I’ve learned to read and write both hiragana and katakana, the two alphabets that are used to phonetically sound out different words, and so I have been able to read signs and menus adequately enough. Knowing what I’m reading or writing is more difficult 😛 I also know a handful of kanji, mostly related to the weather or the tea room in some way. It’s more than I knew a year ago so that’s something but I’ll need to work hard. Learning language(s) besides English is very important to me. I want to continue to work on my Swedish and Spanish too. Glad that all three languages are quite different from each other! Anyway, I digress. For our final week of class, we were asked to assist the third year students for their final Shaon chakai. This chakai is done annually as a way for the third-year students to thank their teachers and fellow students for their time at Urasenke. It’s supposed to show everything they have learned, and it’s the largest event they plan as a group during their time at school. We sempai were asked to serve tea to the guests, like we have often done before. It was pleasant and there were 10 seatings ranging in size from the Sen family up to 25 (or so) guests. The day of graduation arrived. I can’t believe that it has been one year since I stood up, like all the other new students, in my black suit and bowed to O’iemoto and Okusama when they read the roll call in front of the school to introduce the new students. This time we also had a ceremony that was short but nice. We received graduation certificates and the third-year students received their tea names, to show that they are sufficiently experienced to teach others the way of tea. We at Midorikai are far from this stage but we are all excited to teach others what we have learned in some small ways. 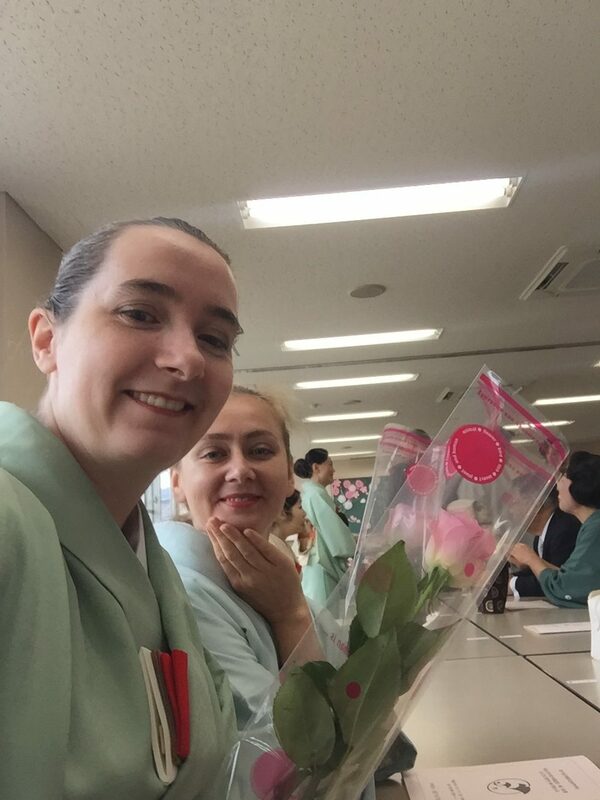 We received presents from the school and roses from our kohai. We had a nice lunch and later in the evening we had a dinner followed by a karaoke party. I continue to be so grateful for this experience and am glad that our group made it, friendships intact. Congratulations! I know that you have worked so hard this year, and that you will always treasure this time, these friendships, and what you have learned. Thank you so much for sharing your Midorikai year. 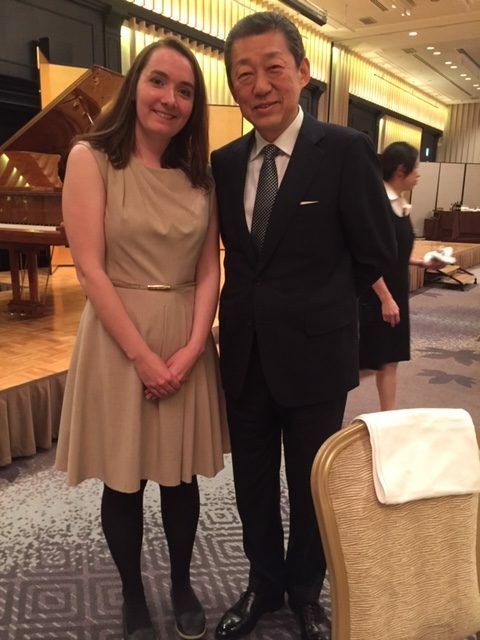 You write with a beautiful spirit and I shall miss your postcards from Konnichian very much. Warmest wishes for your teal life in the years to come.